Print out this new coupon to get a good deal on Buddy Fruits at Walmart! 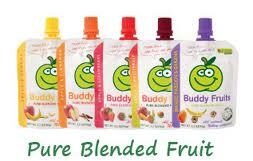 Buddy fruits are squeezable pouches filled with baby food. My son LOVES them and they're so nice since he can feed himself with them!